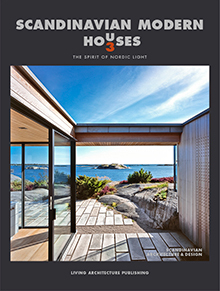 LIVING ARCHITECTURE presents Scandinavian Modern Houses volume 3, with Per Nagel’s photographs of some of nthe most significant Scandinavian private houses built during the twentieth century to elucidate the distinctive character of Nordic architecture. Nordic architects have developed a special awareness and sense of clarity concerning one of the most important elements forScandinavians - namely the light! and spacedefining element, is perhaps the most remarkable common feature of Nordic architecture - the spirit of Nordic light! - the power and quality of their architecture make them timeless. We have primarily selected the houses on the basis of subjective, emotional criteria - they are among our personal favorites.